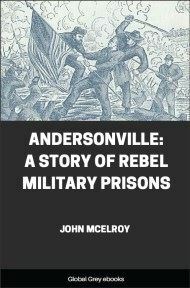 This is the complete 4 Volumes of Andersonville: A Story Of Rebel Military Prisons. The story is based upon John McElroy's lengthy confinement in the Confederate Andersonville prison camp during the American Civil War. The fifth part of a century almost has sped with the flight of time since the outbreak of the Slaveholder's Rebellion against the United States. The young men of to-day were then babes in their cradles, or, if more than that, too young to be appalled by the terror of the times. Those now graduating from our schools of learning to be teachers of youth and leaders of public thought, if they are ever prepared to teach the history of the war for the Union so as to render adequate honor to its martyrs and heroes, and at the same time impress the obvious moral to be drawn from it, must derive their knowledge from authors who can each one say of the thrilling story he is spared to tell: "All of which I saw, and part of which I was." 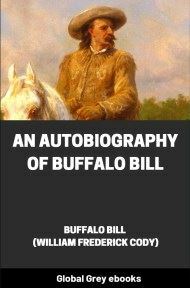 The writer is honored with the privilege of introducing to the reader a volume written by an author who was an actor and a sufferer in the scenes he has so vividly and faithfully described, and sent forth to the public by a publisher whose literary contributions in support of the loyal cause entitle him to the highest appreciation. 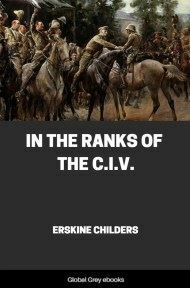 Both author and publisher have had an honorable and efficient part in the great struggle, and are therefore worthy to hand down to the future a record of the perils encountered and the sufferings endured by patriotic soldiers in the prisons of the enemy. 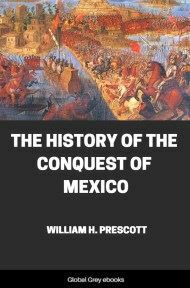 The publisher, at the beginning of the war, entered, with zeal and ardor upon the work of raising a company of men, intending to lead them to the field. Prevented from carrying out this design, his energies were directed to a more effective service. His famous "Nasby Letters" exposed the absurd and sophistical argumentations of rebels and their sympathisers, in such broad, attractive and admirable burlesque, as to direct against them the "loud, long laughter of a world!" The unique and telling satire of these papers became a power and inspiration to our armies in the field and to their anxious friends at home, more than equal to the might of whole battalions poured in upon the enemy. An athlete in logic may lay an error writhing at his feet, and after all it may recover to do great mischief. But the sharp wit of the humorist drives it before the world's derision into shame and everlasting contempt. These letters were read and shouted over gleefully at every camp-fire in the Union Army, and eagerly devoured by crowds of listeners when mails were opened at country post-offices. Other humorists were content when they simply amused the reader, but "Nasby's" jests were arguments—they had a meaningthey were suggested by the necessities and emergencies of the Nation's peril, and written to support, with all earnestness, a most sacred cause.